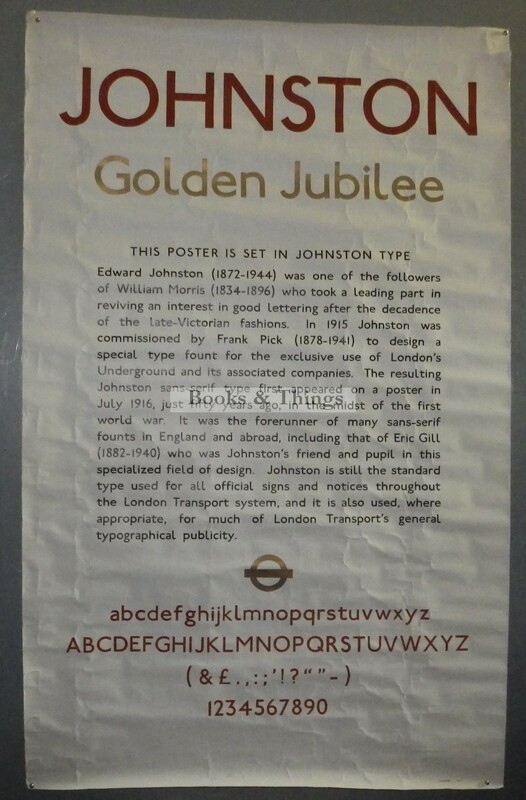 Edward Johnston: Golden Jubilee poster of the introduction of Johnston Sans typeface by London Transport in 1916. 1966. General creasing, a little staining on the back at top right corner just showing through. There is also a 2.5cm repaired tear there also. London Transport, who last year commissioned a series of 10 posters to celebrate the centenary of Johnston Sans, does not seem to have a copy of this Jubilee poster in their London Transport Collection. Category: London Transport Posters. Tag: Edward Johnston Golden Jubilee poster.